Digital Disruptor Genie - Scientific Industries, Inc.
Easy to use high speed vortex mixers with a wide range of accessories. True pulsing action guarantees more collisions and random motion. Same vortexing power as the Vortex-Genie 2 with an integrated timer. Specially configured mixer for Applied Biosystems' Microplate Protocols. Our most programmable Vortex-Genie with digital control display of speed and time. Our most popular model for shaking or vortexing action. More violent vortexing action than any other vortex mixer. Ideal for applications requiring demanding and high capacity mixing. Large capacity shaking with true vortexing action, featuring an adjustable clamping system. Up to 1000 RPM. High velocity vortex mixer, fully programmable for the most demanding laboratory applications. Up to 2000 RPM. The MicroPlate Genie line guarantees true vortexing action. Includes single and multi-microplate configurable models. MicroPlate mixing with precise control of speed and time with Pulsing feature. MicroPlate mixing action with a vortexing orbit of 1.0mm. Mixing up to 4 microplates with precise control of speed and time. MicroPlate mixing up to 4 microplates with configurable speed and time. Ideal for slow orbital shaking on a non-slip platform. Platform with ratcheting clamps for gentle shaking of odd shaped vessels and containers. Adhering mat platform for use with open containers and t-flasks. Gentle Orbital Shaking from 20 to 100RPM with temperature control and three way access clear dome temperature chamber. Provides the flexibility for using a mix of different size and shape vessels or large volume on a single platform. Temperature control and 3 way access chamber. Equipped with a platform to accept various size flasks or beakers. Temperature control and 3 way access chamber. 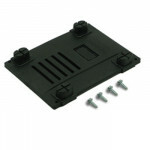 Provides a flat platform with rubber mat. Rinse clean to renew adhering properties. Temperature control and 3 way access chamber. Ideal for using a mix of different size and shape vessels on a single platform. The Orbital-Genie with adhering mat features a flat perform with adhering rubber ideal for use with open containers and t flasks. Orbital-Genie for standard flask clamps is equipped with a platform for accepting various size flasks or beakers. Increase cell disruption efficiency with adjustable speed and time. Rugged, reliable and affordable cell disruptor. Spherical lead free soda lime glass beads for use with Disruptor Genie. Glass Disruptor Beads Bottle for Yeast/Fungi. Compact design, quiet, and easy to use. Ideal for microfiltration, DNA, and all protein applications. Orbital Shaking with Temperature control and full view chamber access cover. Allows to heat, rotate, rock, and shake all in one compact unit. Combines rocking and rotating in one rugged and versatile design. Specifically built to hold a variety of tubes, flasks, microplates, bags, and irregularly shaped vessels at any angle. Securely holds various spring clip mounting plates for rotating action. Powerful and rugged rotator for effective mixing of transfer packs or random sealed bags. Digital single position magnetic stirrer with memory profiles. Four position magnetic stirrer designed for customizing applications. Powerful magnetic stirrer with LCD display and configurable speed. Large volume magnetic stirrer with speed configuration. 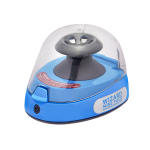 Low Range Digital magnetic stirrer for low speed applications. Four position magnetic stirrer with a 2 litter capacity in each position. Precision laboratory balances equipped with electromagnetic load cells ranging in accuracy from 0.001g to 0.01g. High performance and proven weighing technology combined with compact space-saving design offers unmatched productivity. High performance, with a simple design, and an outstanding value. Equipped with automatic internal calibration to guarantee low maintenance and optimum weighing accuracy. Leading edge weighing experience. It's metal housing guarantees durability and long operating life. Ideal for basic analytical weighing applications, the balance combines a high quality electromagnetic load cell with a complete die-cast metal housing. With an outstanding price-to-performance ratio and multiple weighing modes the AGCN is optimal for various analytical weighing operations. Best in class performance combined for advanced analytical applications. Equipped with automatic internal calibration keeping the scale calibrated at all times. Budget friendly analyzers designed for basic everyday moisture analysis. Compact modern design at an outstanding value. Designed to perform in the most demanding applications. Complete rugged metal housing makes this model dependable for heavy usage and high temperatures. Designed specifically for prescription use. Compounding, recipe making, and NTEP certified. NTEP Certified pharmacy scales with basic pill counting functionality. Prescription mechanical balance. Ideal compounding balance with a maintenance free design. Ultra fast pill counting with highest performance and accuracy. NTEP certified for pharmacy use. Connects to a TORBAL Cloud server to retrieve most up-to-date drug information and record pill counting transactions. Premium pill counters with 10,000 drug database capacity. Fast counting transactions with reliable accuracy. High precision force gauges ready for everyday tension and compression testing. Ranging from 1lbF to 10,000lbF. High resolution force gauges for applications requiring utmost precision and accuracy. Capacities ranging from 1 lbF(5N) to 100lbF(500N). High Capacity force gauges built for rigorous tension and compression applications. Powerful and ready for testing from 200lbf(1kN) to 10,000lbf(50kN). Professional force gauges designed for push and pull testing with built-in wireless connectivity. Ranging from 1lbf to 10,000 lbF. Professional High Resolution force gauge with 1,000 Hz real time data capture. Ranging from 1lbF(5N) to 100lbF(500N). Professional high capacity force gauges ready for the most demanding push and push and pull applications. Ranging from 200lbF(1kN) to 10,000 lbF(50kN). Precision jacobs chuck clamps torque gauges ranging from 17lbF.in(2Nm) to 100lbF.in(10Nm). Heavy duty tool testers for torque verification ranging from 17lbF.in(2Nm) to 100lbF.in(10Nm). Optimize force measurement with any Torbal force gauge up to 100lbF. Maximize FB and FC force guage performance with a wide variety of attachments. Expand the capacity and accuracy of Torbal FC models with extra loadcell sensors. Non-invasive pH and DO monitoring systems. Easily adaptable to various shakers, stirrers, and incubators. 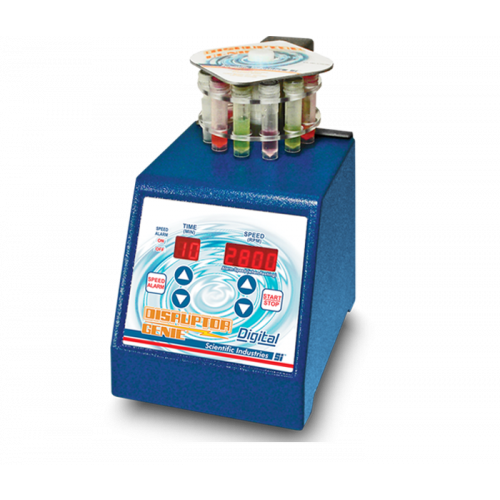 CellPhase system with up to four BioCoaster sensors for ph and DO monitoring. Single Biocoaster for real time non-invasive optical ph and DO analysis. Dual Biocoaster for instant non-invasive optical ph and DO measurements. Select from a variety of shake flasks with pre-installed and pre-calibrated pH & DO patches. Our shake flasks work with CellPhase BioCoaster sensors to provide results in real-time. Pre-calibrated pH and DO patches for use in reusable and single transparent vessels. 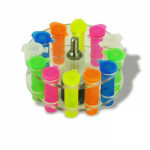 CellPhase System HubBox connects up to four BioCoasters for real time analysis. Bioprocessing mini reactor system tracks and adjust pH and DO levels automatically. 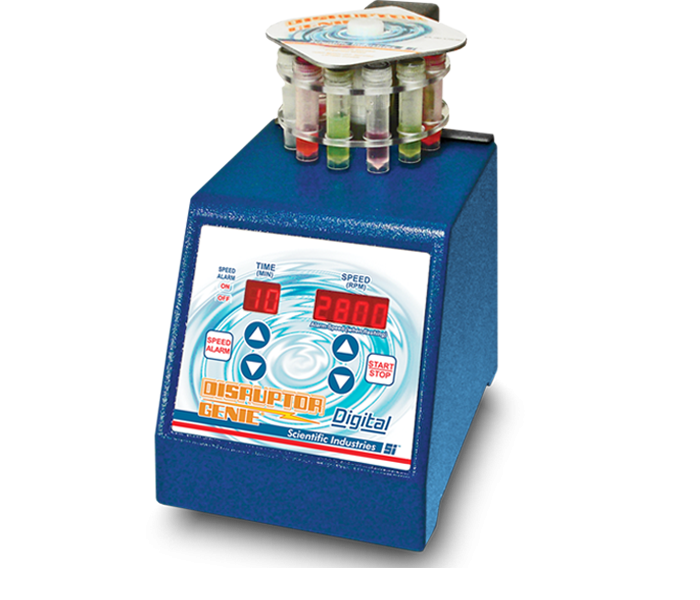 Digital cell disruptor with complete control of speed and time. Ideal for releasing biological molecules from inside a cell. More than vortexing alone, patented multi-directional action simultaneously agitates and vortexes at high-speed producing greater yields in less time. Supplied with Universal Microtube Holder(tubes not included) and Pop-off Cup. 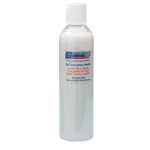 Ideal for difficult glass bead procedures - cell disruptions/homogenizations of yeast cells, bacteria, plant and animal tissue or anything that requires extremely violent high-speed agitation. Patented multi-directional action simultaneously agitates and vortexes at high-speed producing greater yields in less time. Provides accuracy, reproducibility, and repeatability with complete control of speed and time. Performance comparable to expensive ultrasonic cell disruptors/homogenizers. Solid metal casting and stainless steel construction. Does not “walk”. Simply remove the Micro Tube holder and snap on the Pop-off Cup to achieve continuous or timed high-speed vortexing of single test tubes. Spherical lead free soda lime glass beads are commonly used for mechanical disruption of many yeast, bacterial and soil samples. Glass beads of a pre-determined size and volume are placed in a 1.5ml or 2.0ml microtube along with a pre-determined sample amount. The closed tube is then shaken vigorously at high speed, causing collisions between the glass beads and sample material. Scientific Industries’ Disruptor Genie® and TurboMix™ attachment for the Vortex-Genie 2 Family of Mixers are excellent choices for this process as they both simultaneously agitate and vortex at high speed, dramatically increasing cell or sample disruption. Each can hold up to twelve 1.5 ml or 2.0 ml microtubes at once. The disrupted cells may be removed after shaking for downstream processing. Pre-preparation steps for Scientific Industries’ Disruptor Beads are generally unnecessary. If desired, they may be soaked in a 1:8 dilution of household bleach for 20 minutes, rinsed with copious amounts of distilled or RO water, and baked at 50 to 65°C for a minimum of 2 hours, or until completely dry. If the glass beads do not pour freely, repeat the cleaning and drying process. Disruptor Beads may also be autoclaved after proper disinfecting or cleaning. 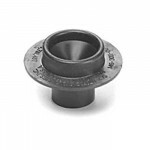 The Disruptor Beads may be reused, if desired, after proper disinfecting or cleaning and autoclaving. Subsequent uses and excessive handling of the beads may result in the creation of fines, which could adversely affect cell disruption efficiency. As such, it is not recommended to frequently reuse Disruptor Beads. Disruptor Beads may be stored at room temperature or frozen in an airtight container prior to use. In addition, the Disruptor Genie and TurboMix attachment for the Vortex-Genie 2 Family of Mixers may be used in cold rooms. NOTE: DETAILED DIRECTIONS FOR USE WILL DIFFER DEPENDING ON THE INDIVIDUAL PROTOCOL USED OR THE OUTCOME DESIRED. THE SAMPLE METHODS BELOW ARE EXAMPLES ONLY. Disruptor Beads, 0.1 mm diameter, are recommended for disruption of bacterial samples. A typical sample ratio would be 50% Disruptor Beads to 50% bacterial suspension by volume. This ratio may be adjusted as necessary. Allow head space (~20%) within the microtube to facilitate disruption action. It is recommended that beads and bacterial suspension be chilled prior to disrupting in order to offset any temperature rise within the microtube. Disruption at room temperature using chilled materials for 3 to 5 minutes at highest speed should be sufficient to recover 85% of the bacterial RNA. Disruption can be performed in a cold room as well. Samples should not be run for longer than 10 minutes consecutively to avoid any temperature rise. The following protocol is designed to provide approximately 1.5 mls of lysed cell supernatant that can be used for subsequent analyses. Inoculate 2 ml of Luria Broth (plus antibiotic) with an appropriate E. coli strain (i.e. BL21 DE3) containing an expression plasmid encoding the protein of interest. Incubate the culture at 37°C with shaking overnight. Inoculate the 2ml overnight culture into 40 mls of LB (plus antibiotic) and incubate until mid-log phase of growth (A600 = 0.4 - 0. 6). This step normally takes less than 2 hours. Add IPTG to 0.5 mM and incubate the culture for an additional 4 hours or more. Harvest the cells by centrifugation and then resuspend the cell pellet with 1.8 mls of buffer (50 mM TrisHCl, pH 7.5 or any other suitable buffer). Transfer 0.6 mls of the cell suspension to a 2 ml microtube and add 0.2 gms of 0.1 mm disruptor beads. Using greater quantities of beads (up to 0.5 gms) did not increase the efficiency of cell lysis. Close the tube and shake vigorously for 2 minutes with the TurboMix attachment to the Vortex-Genie or Disruptor Genie. Pellet the cells by centrifugation at maximum speed for 5 minutes in a microfuge. Take an aliquot of the supernatant for SDS-PAGE analysis and decant the rest of the supernatant into a new tube. Disruptor Beads, 0.5 mm diameter, are recommended for disruption of yeast or fungi samples. A typical sample ratio would be 50% Disruptor Beads to 50% of yeast or fungus suspension by volume. This ratio may be adjusted as necessary. Allow head space (~20%) within the microtube to facilitate disruption action. It is recommended that beads and yeast or fungus suspension be chilled prior to disrupting in order to offset any temperature rise within the microtube. Yeast cells and fungi are generally more difficult to shear than bacterial cells, so increased disruption times may be necessary. Disruption in a cold room with chilled materials for 5 to 7 minutes at highest speed should be sufficient to disrupt the cell sample. Samples should not be run for longer than 10 minutes consecutively to avoid any temperature rise. Either size of Disruptor Beads can be used for soil samples. A typical sample ratio would be 50% Disruptor Beads to 50% soil sample suspension by volume. Allow head space (~20%) within the microtube to facilitate disruption action. Samples should not be run for longer than 10 minutes consecutively to avoid any temperature rise. © 2016 Scientific Industries, Inc. All Rights Reserved. with one our staff members? Your inquiry was submitted. Thank you for contacting us.